Volunteers are the backbone of thousands of successful events every day. They often don’t get a lot of credit but without their tireless efforts some of your favourite festivities just wouldn’t be financially feasible. As a corporate event planner, I’ve learned the value of great volunteers over the years. Sometimes my clients like to utilize their team at registration to welcome their clients with a friendly face, other times, it’s fundraising events that need extra people power to ensure the charity of choice is able to fully maximize their bottom line. 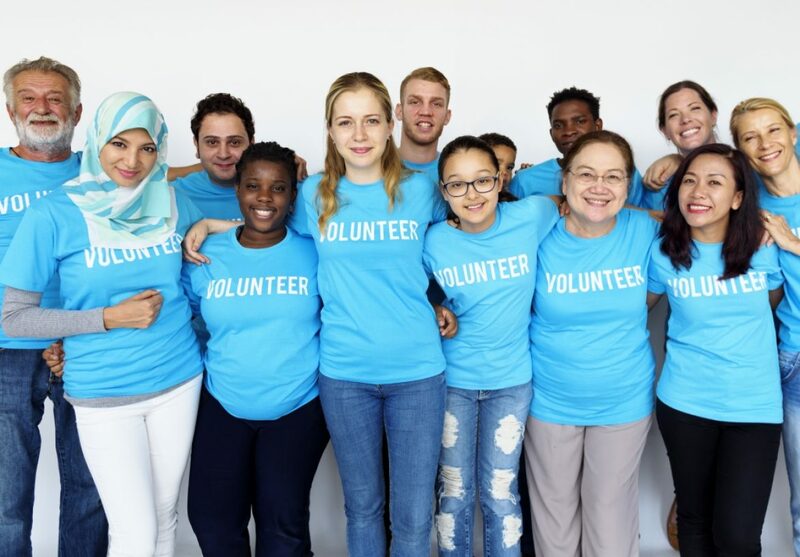 Whatever the reason, volunteers can become an important part of your event and learning how to manage them effectively can have a huge impact on the final outcome. When working on corporate events it’s a common expectation that employees get involved and are often simply volun-told they need to be there to support the cause. In these cases finding out what interests your volunteer and finding a position that suits their skill set will help make the role that much more productive for both parties. Taking these needs into consideration, it’s often, simply a case of communicating on the front end what your volunteer might be most comfortable with and how you can best utilize each person’s natural skill set. For instance if you have a truly introverted individual who prefers staying behind the scenes, they might be more comfortable on set up duty rather than front and center at the registration table, while those looking to expand their Rolodex might be a great contender for a greeter or activity station. The better you’re able to match tasks to personalities, the smoother your event will run. Let face it, with anything in this industry, there are always challenges. While most volunteers are dedicated and enthusiastic, you are inevitably going to run into some no shows and less than stellar participants. The key to this, again, is smart task assignments. When it comes to roles that MUST be filled (we’re talking check in, any roles involving payments or roles that would noticeably affect the smooth running of the event) stick to your tried and true team that you know will execute with you flawlessly. Contingency plans are also a must in every role. Team people up as much as possible and prepare a couple floaters that can fill multiple roles if need be. It might seem like overkill but when you’re halfway through a big event and find yourself in a bind, these people will be life savers! Believe me! You can plan every detail of your event for months on end but sometimes your success hinges on volunteer efforts. Appreciate their value and invest some time in getting to know them so when the doors open they’re in the best possible position to help you execute that amazing event without a hitch. Need help with Corporate Events in Calgary? Or do you need to get an estimate on planning your next event?